Home News Boy who is a medical miracle: Born with his brain OUTSIDE his head, doctors did not bother with intensive care as he was not expected to live an hour - but he has just celebrated his 10th birthday! Boy who is a medical miracle: Born with his brain OUTSIDE his head, doctors did not bother with intensive care as he was not expected to live an hour - but he has just celebrated his 10th birthday! A boy who was not expected to live an hour after he was born with his brain outside his head has just celebrated his 10th birthday. 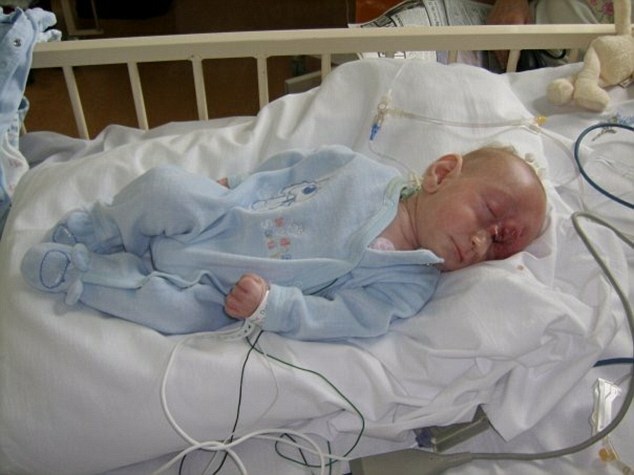 Jamie Daniel, from Nuneaton, Warwickshire, who weighed just 2lb 7oz when he was born on January 11 2008, was not taken into intensive care as doctors thought he had no hope of surviving. Yet, Jamie defied the odds and was sent home after just a week. 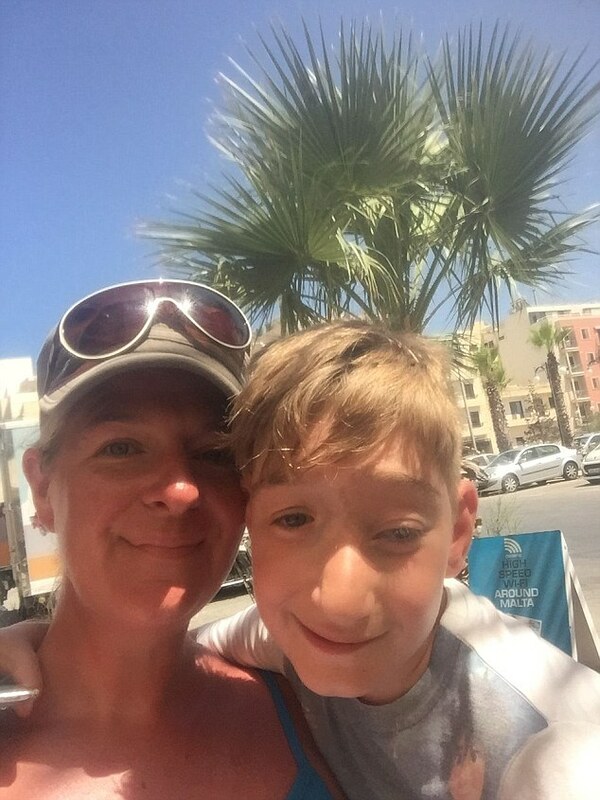 Despite doctors insisting there was nothing that could be done to save Jamie, who suffered from encephalocele, his mother Leanne Daniel, now 40, met with surgeons at Birmingham Children's Hospital who successfully removed the outer brain and closed the wound. 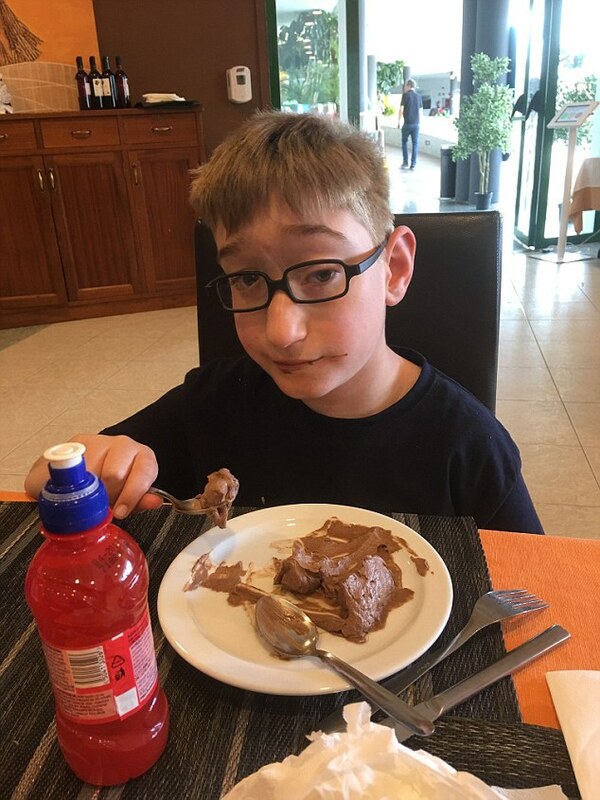 Although Jamie suffers from cerebal palsy, learning disabilities and double incontinence, Ms Daniel describes him as a 'happy, sociable boy'. He has even been with his girlfriend Maddie, who has Down's syndrome, since reception. Ms Daniel is speaking out to combat the prejudice around people with learning difficulties and make women aware complications like this can occur during pregnancy. 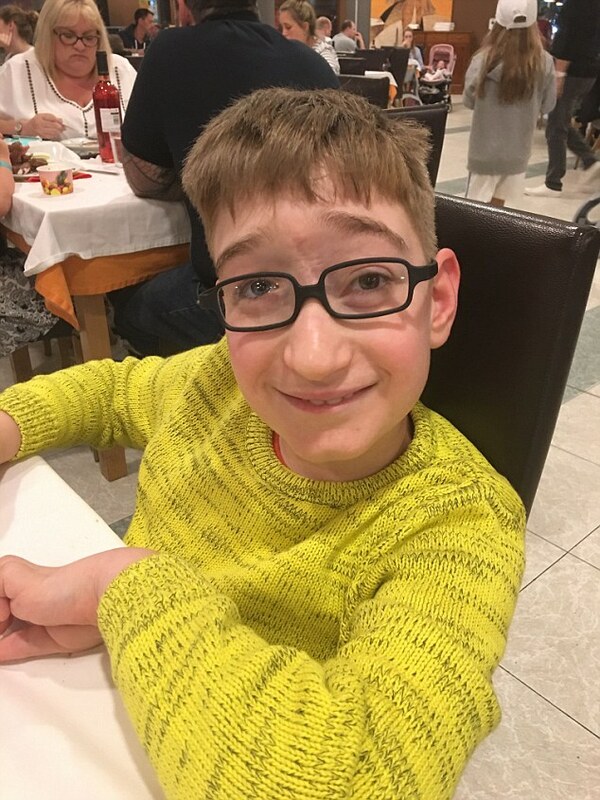 Despite his complications, Jamie loves school, horse riding and watching television, with Peppa Pig and Fireman Sam being his favourite programmes. Ms Daniel, who is separated from Jamie's father, told MailOnline: ‘I don’t think Jamie’s aware he’s different from others, he’s not bothered when people stare. 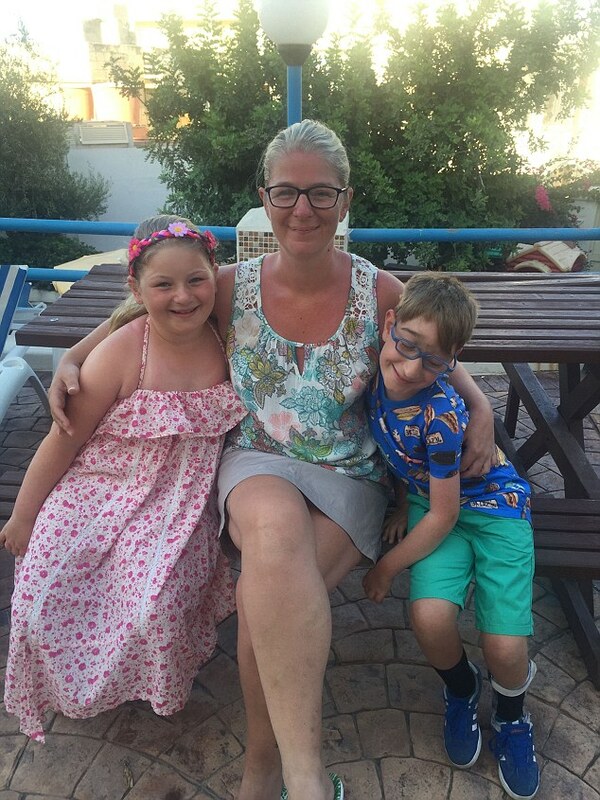 Ms Daniel relies on her mother, who she lives with, to care for Jamie and his twin sister Lucy, who is healthy, while she works 30 hours a week in a support network role for children with learning difficulties. Although it can be challenging at times, Ms Daniel says her family have adapted to looking after Jamie. Jamie's surgeon had only seen one other case of the condition in 20 years. Due to the disorder's rarity, doctors are unable to tell Ms Daniel what Jamie's future may be but she hopes he can one day live independently. 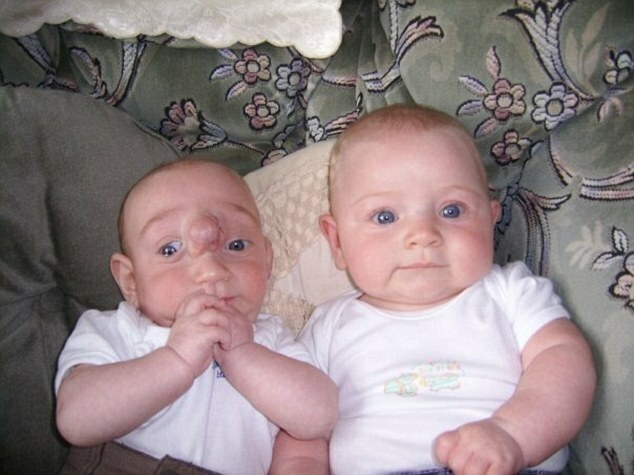 Encephalocele is a rare birth defect where the structure that forms the brain and spinal cord folds and closes. This causes a sac-like protrustion of the brain and its covering membranes through an opening in the skull. It affects around one in 12,200 babies born in the US every year. Its UK prevalence is unknown. Encephalocele's exact cause is unclear but may be a combination of genetic and environmental factors, such as insufficient vitamin D and folic acid during pregnancy. Treatment involves surgery to place the protruding brain back into the skull and close the opening. The patient may experience ongoing complications. 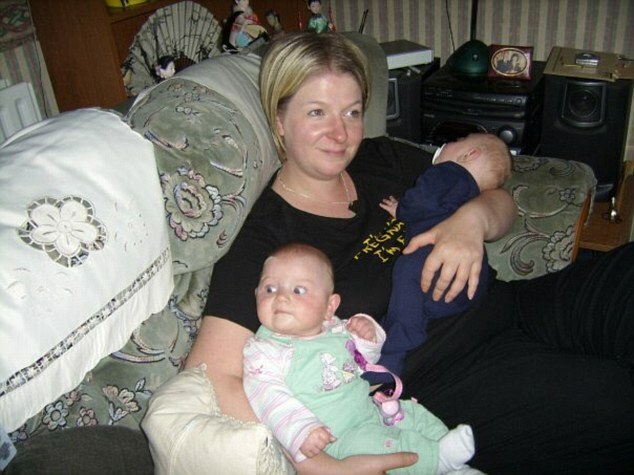 Ms Daniel did not find out about Jamie's condition until she was 31 weeks pregnant. Doctors told her he would unlikely survive the birth or would be severely disabled and recommended she have a late abortion. She was prepared to follow the advice of her doctors, however, her waters broke early. As doctors expected Jamie to die, Ms Daniel claims the staff at George Eliot Hospital in Nuneaton, where the twins were born, left her alone with him in a side room and told her to expect the worst. The hospital has been approached for comment. Remarkably, Jamie started to put on weight and was feeding despite the teat of his milk bottle being the same size as his head, resulting in him being sent home after a week. Although Jamie seemed to be pulling through, his outer brain started to scab and die. 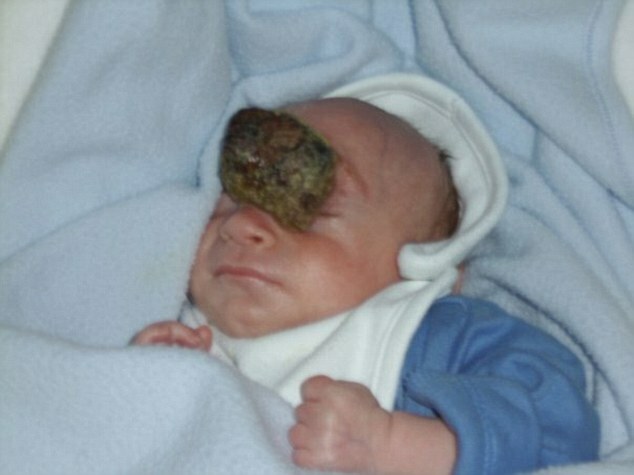 Ms Daniel said: 'He had cerebral fluid leaking down his face, it smelt terrible. 'His face had to always be cleaned as the fluid would glue his eyes shut. 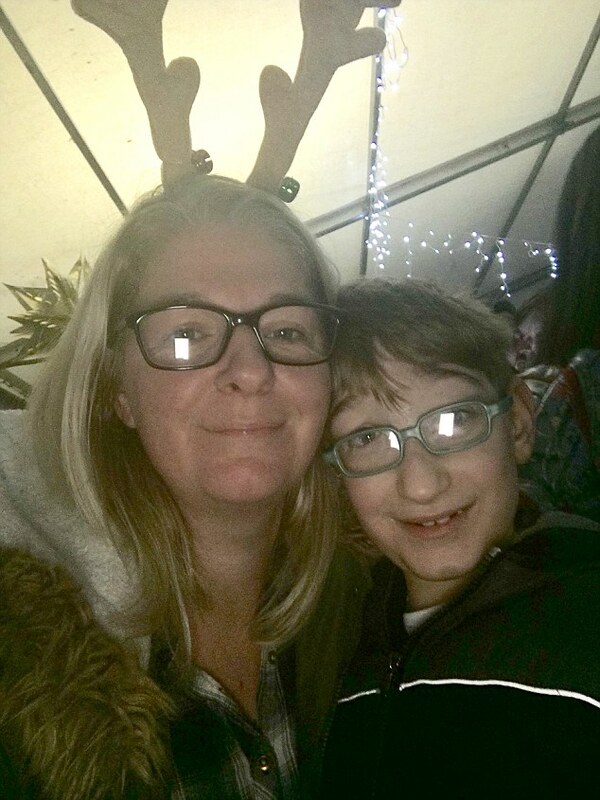 Despite doctors saying there was nothing that could be done, Ms Daniel insisted Jamie have an MRI scan at Coventry University Hospital, with the results being sent to surgeons at Birmingham Children Hospital who suggested an operation, but it came with a risk. Choosing to go ahead with the operation, Jamie was in hospital for seven weeks.